Pushing back the frontiers of economic ignorance and restoring sound financial foundations, one family at a time. There are 152 fiat currencies that have failed due to excess inflation. Their average lifespan was 24.6 years and the median lifespan was 7 years. In fact, 82 of these currencies lasted less than a decade and 15 of them lasted less than 1 year. In this era of monetary fiction, one tends to read all types of undocumented and misguided views on monetary policy. However, if there is one that really is infuriating: MMT science fiction. First, it is untrue. A report by David Beers at the Bank Of Canada has identified 27 sovereigns involved in local currency defaults between 1960 and 2016 (database here). David Beers explains: “A long-held view by some investors is that governments rarely default on local or domestic currency sovereign debt. After all, they say, governments can service these obligations by printing money, which in turn can reduce the real burden of debt through inflation and dramatically so in cases like Germany in 1923 and Yugoslavia in 1993-94. No, a country with monetary sovereignty cannot issue all the debt it needs without default risk. It needs to issue in foreign currency precisely because few trust their monetary policies. Most local citizens are the first ones to avoid the domestic currency exposure and buy US dollars, gold or (now) cryptocurrencies, fearing the inevitable. This divergence, which has been observed across many other asset classes including commodities, Chinese stocks, European banks and others which have recently entered (and in many cases remained) in so-called “rolling bear markets”, is highlighted in the latest note by BofA’s Michael Hartnett who writes that global stocks ex US tech are now down -6.2% YTD, while no less than 809 of 1150 EM stocks have entered a bear market. Though the banking system is stronger, shadow banking and possible political unrest between international regulators could jeopardize recovery from the next crisis. A group of current and former policymakers and academics in the financial industry that comprise the “Group of 30” – a financial industry working group that includes names like Mario Draghi and Mark Carney and which is the “who’s who” of economists and experts that led the world into the last financial crisis – has come to the same conclusion that the many in the “fringes of economic thought” have been warning about for the last decade: the Fed is going to be in worse off shape to fight the next major crisis than they were in 2008. Catalyst for a US Dollar Collapse & Gold Blastoff in play? Is it possible that the US Dollar could be creating a multi-year topping pattern, while Gold is creating a multi-year bottoming pattern? I would understand if the majority feels it is almost “impossible,” as the long-term trend for Gold is down and the long-term trend for King Dollar is up! 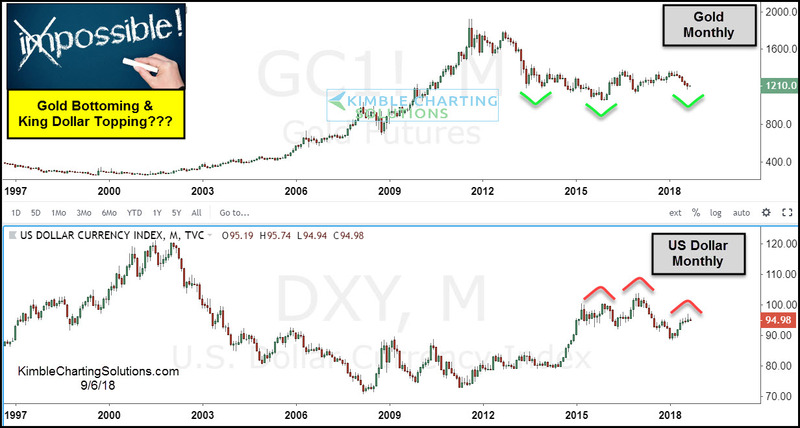 What are the odds that Gold is creating a major bottoming pattern and King Dollar is creating a topping pattern? Very low at this time. Even though the odds are low that Gold is bottoming and King Dollar is topping, it remains possible that both could be creating major reversal patterns over the past three years! To prove that major reversals are in play, Gold would need to rally above $1,357 and the US Dollar would need to break below 88. Remember what we said about China angling to de-throne the U.S. as the WORLD’S RESERVE CURRENCY! This completes one of the pieces of their puzzle. Construction of one of the world’s largest gas pipelines – from Russia to China – is about 93 percent finished, RT.com is reporting. About 119 operational gas wells have been completed in Yakutia and the main technological equipment is now being installed. The website noted the pipeline, called the Power of Siberia, could eventually help Russia become one of China’s main providers of natural gas. Plans call for the nearly 2,500-mile long pipeline to begin pumping gas to China by the end of 2019. The deal to build the pipeline took more than a decade to complete. The market value of virtual currencies tracked by CoinMarketCap.com has slumped about 75 percent from its January peak to about $205 billion. Cryptocurrencies dropped sharply for the second time in less than 24 hours, sinking toward a nine-month low amid concern that broader adoption of digital assets will take longer than some anticipated. Currencies don’t melt down randomly. This is only the first stage of a complete re-ordering of the global financial system. Global Growth is Gone… Is the ‘Everything Bubble’ About to Burst? All around the world, the peak was in January 2018… and since that time most markets have been in MAJOR downtrends if not outright bear markets. The markets are getting downright ugly. 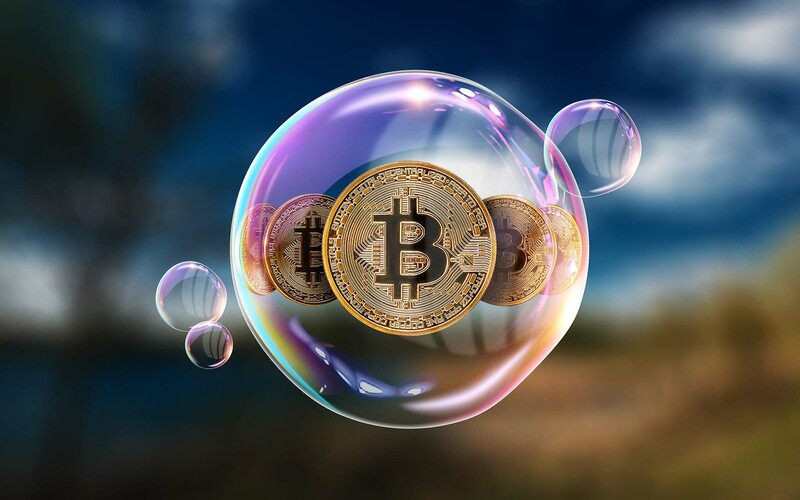 If things don’t turn up soon we could be at the point at which the Everything Bubble begins to burst. While US stocks have performed relatively well recently, globally things are looking worse and worse. Germany’s DAX never reclaimed its former high established back in January. Instead it’s been carving out a massive Head and Shoulders pattern. Germany is the fourth largest economy in the world and heavily reliant on exports for growth. This chart pattern doesn’t bode well for global trade or growth. Using government to steal from each other has thus become America’s largest economic activity. Alexandria Ocasio-Cortez’s recent win of the Democratic Party’s nomination in New York’s 14th Congressional district has given America’s socialists a breath of fresh air. The telegenic 28-year old ex-waitress, who lives in a one-bedroom Bronx apartment, defeated Joseph Crowley, a 20-year incumbent and one of the Party’s most powerful members. Ocasio-Cortez’s win has given particular hope to American youth. Polls suggest that millennials, like generations of youth before them, broadly support a socialist agenda. A short history of the US Dollars declining purchasing power! What Can the Equity1® Financial Wellness Program Do For You?